Dr. Guha Ashrith is cardiologist with a specialization in the care of patients with advanced heart failure, mechanical circulatory support, cardiac transplants and pulmonary hypertension. He received his medical degree from St. John's Medical College in India. He moved to Birmingham, Alabama where he completed a Masters in Public Health with specialization in Epidemiology. 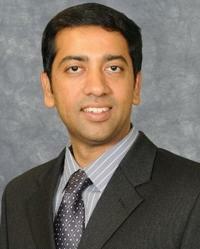 Dr. Ashrith completed his residency at the University Of Texas Medical School in Houston. He continued at the University Of Texas Medical School as an assistant professor in the Department of Internal medicine. He subsequently completed his cardiology and advanced heart failure fellowship at the University of Iowa during which he was served as the chief fellow. His research interests include LV non-compaction cardiomyopathy, mechanical circulatory support, right heart failure and cardiac allograft rejection.